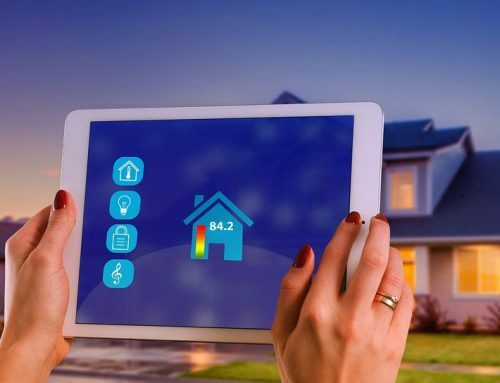 California homes don’t need quite as much winter prep as homes in the colder parts of the country. However, there is a lot you can do to make your home run more smoothly in the months to come. There are even some safety matters you should address in the fall. Use this checklist to make sure you’re ready. Every element of your landscaping needs a little bit of work in the fall. If you plan on adding fertilizer to the garden, now is the best time to do it. Toss your leaves (if you have trees that drop them) and any dead plants in the compost to make more for next year. Plus, cleaning up those leaves, dead branches, and other stray plants bits can reduce your risk during late season wildfires. You’ll also appreciate that a quick plant clean up will keep your property looking tidy through the winter. 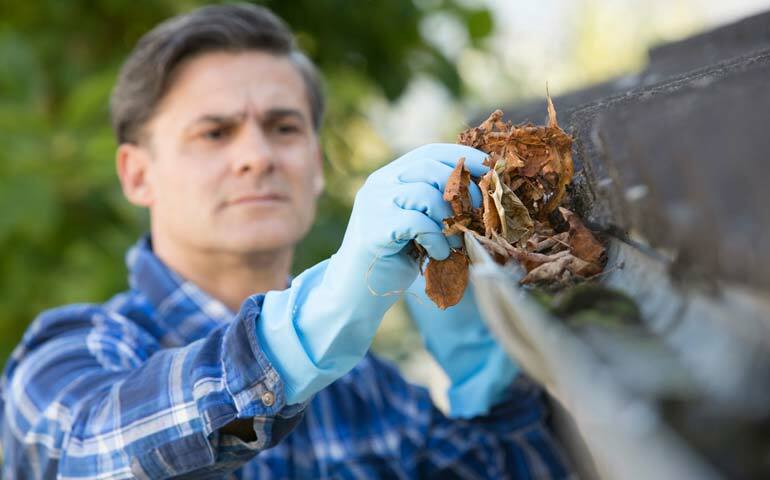 Don’t forget to clean up any leaves or other debris in the gutters, so that you won’t suffer any clogs for the rainy days ahead. One other thing can get clogged too—the pool. After a long summer, it probably needs a filter clean or filter change. Also, it may need pH re-balancing and likely some pool shock to keep it clean of algae and bacteria. While you’re up there with the gutters take a peek at your roof. Are any shingles curled or missing? Is the flashing secure? It’s always better to catch a potential issue before water has the chance to find its way inside your home. On your way down from the roof, take a look at the windows. While the weather is still nice, it’s smart to clean the exterior glass. Before cooler weather arrives, you’ll also want to ensure the caulking around the windows hasn’t dried out and left some gaps. The better your windows are sealed, the better they can keep the conditioned air in the house. The same goes for your doorways. Fall is a good time of year to tackle the safety tasks we too often put off. Check the batteries in your smoke alarms and carbon monoxide detector. Check the pressure of your fire extinguisher. If you’ve used any bandages or other supplies in your first aid kit over the last year, now is the time to replace them. If you keep some canned goods or bottled water in case of winter emergencies, be sure you’re stocked up. A Californian’s furnace has an easier life than a Californian’s air conditioner—that’s for sure! However, we still rely on our furnaces to be in good working order come winter. At Irish Heating and Air, we get plenty of emergency calls for broken furnaces on the coldest day of the year, but we don’t want you to have to make that call! Check that your furnace is working well before the colder weather begins. If you find it’s weak, you could have a problem, or you may need a furnace clean. 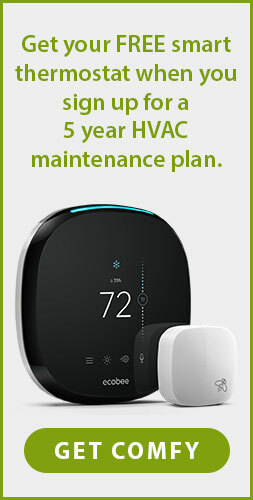 You can also get more efficient performance from your furnace if you get your ducts cleaned. Contact us at Irish Heating and Air if you have questions about your furnace or think you may need an inspection.